A real eye cather with its super tight aluminum body and high-gloss white top layer, this docking station is an elegant appearance on your desk. 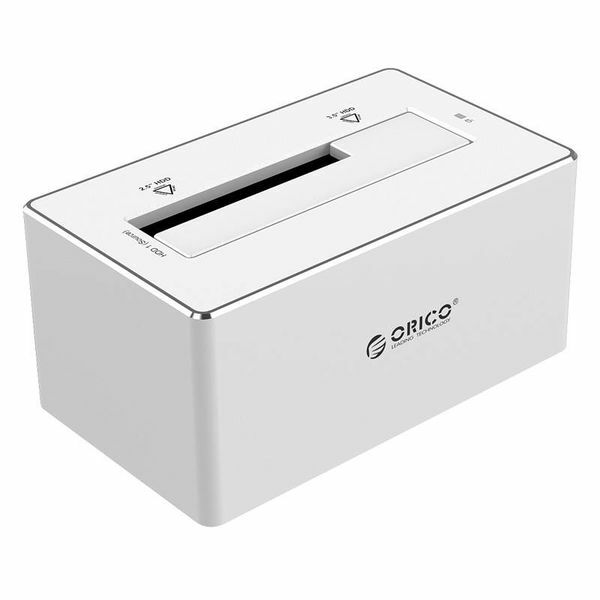 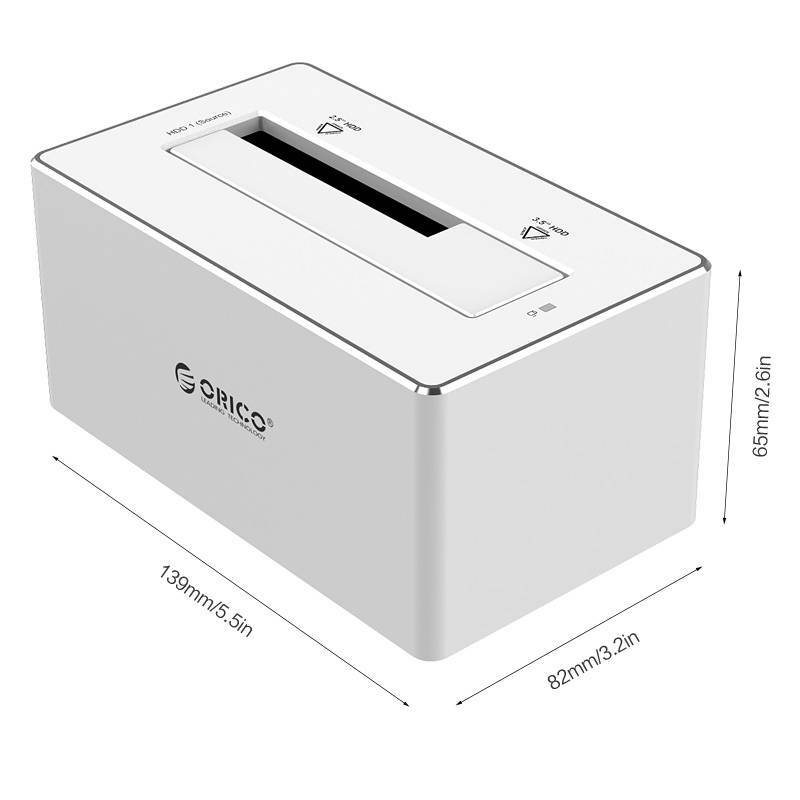 This Orico hard disk docking station with its super tight aluminum body and high gloss white top layer is an elegant appearance on your desk. A real eye cather! 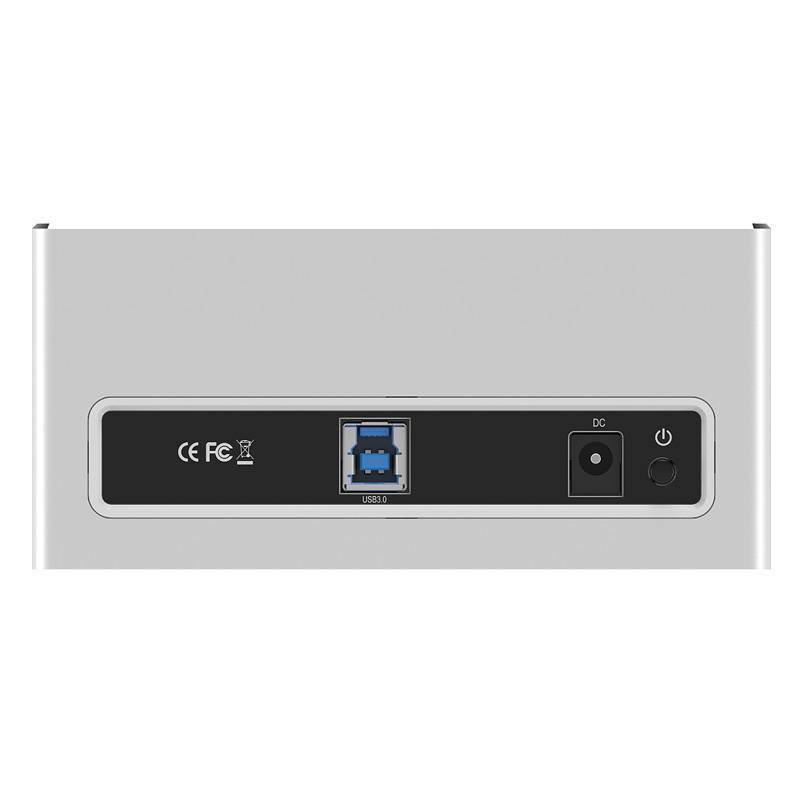 The look of the docking station is completely in Mac style and fits exactly with Apple products such as an iMac, Macbook, Ultrabook and a Magic Trackpad. 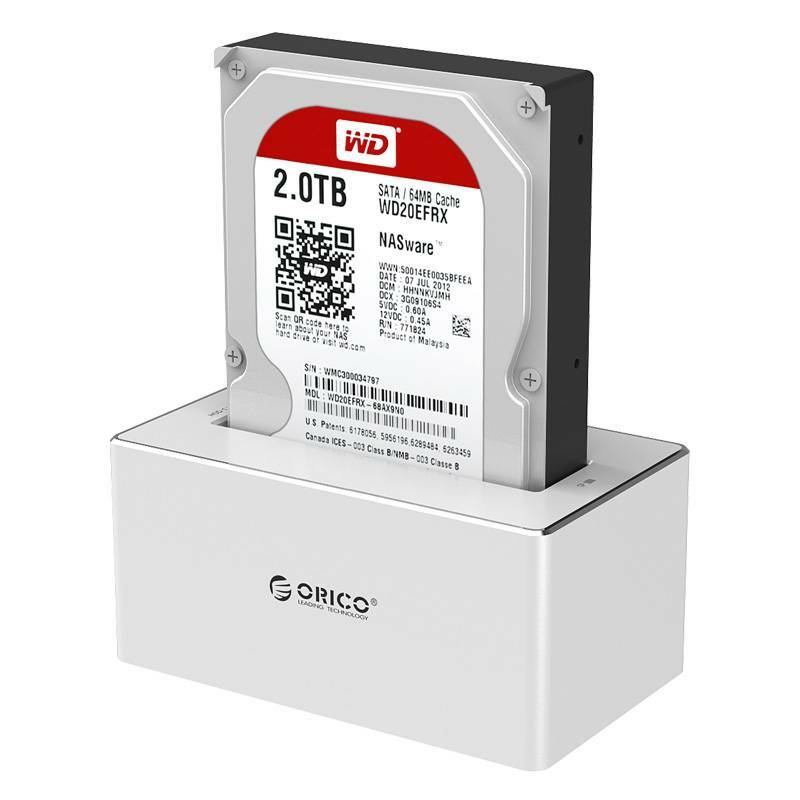 The aluminum housing is not only beautiful to see, but also has a favorable effect on the recording and delivery of any heat development of the hard disks. With this aluminum hard disk docking station you have quick and easy access to your data and files on external hard drives. 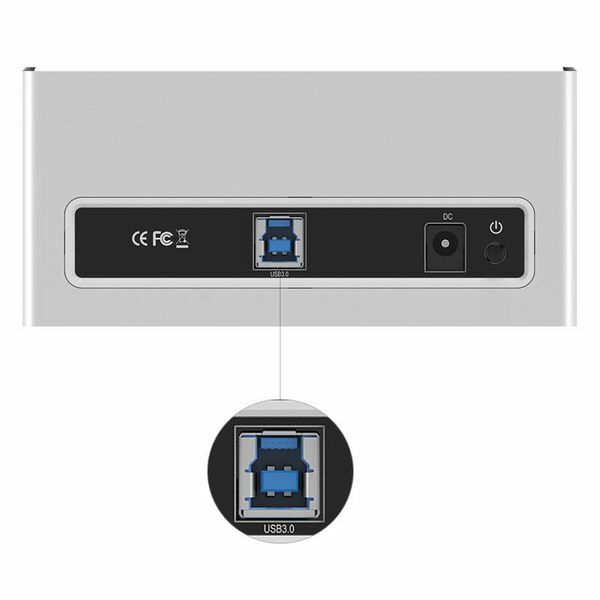 The docking station is suitable for both 2.5 and 3.5 inch HDD / SSD hard disks. 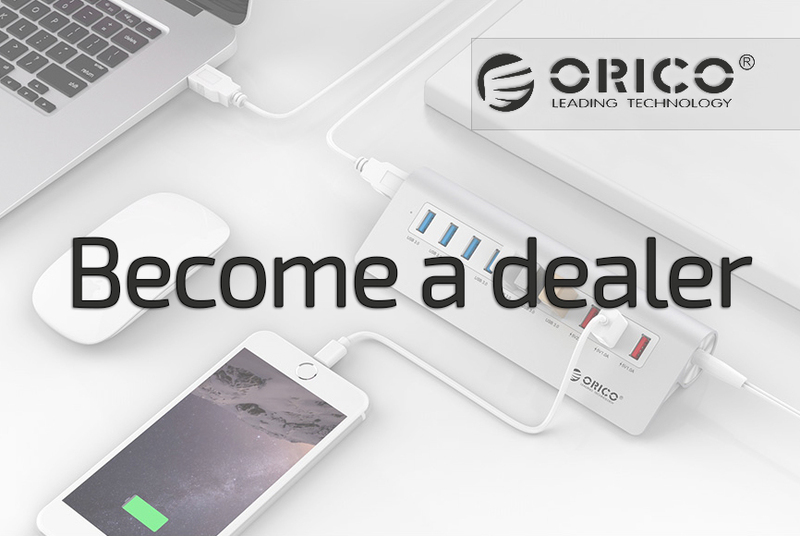 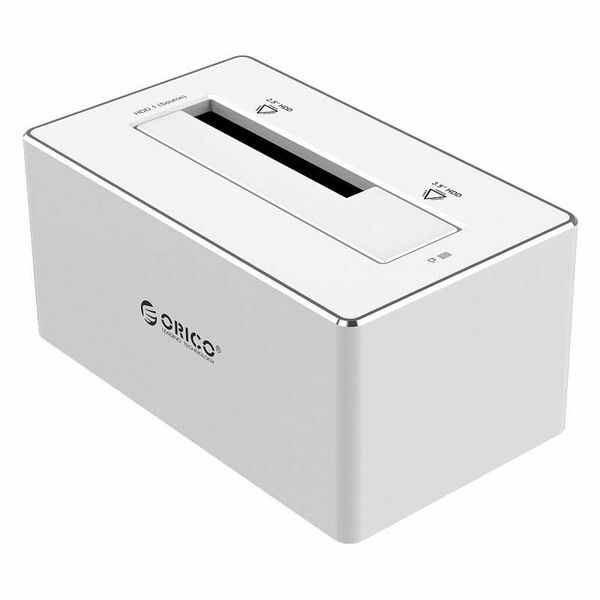 This aluminum hard disk docking station from Orico gives you the possibility to secure your data. 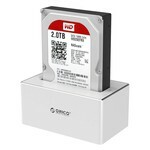 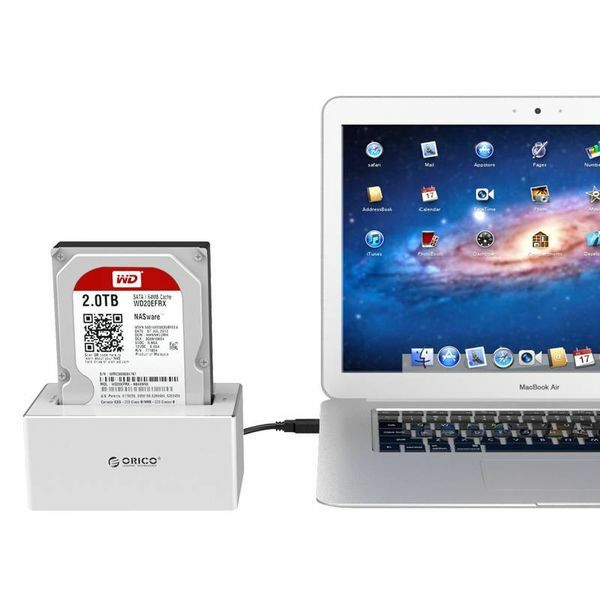 With this stylish Orico hard disk docking station you can connect a SATA hard disk to the USB port of your computer. 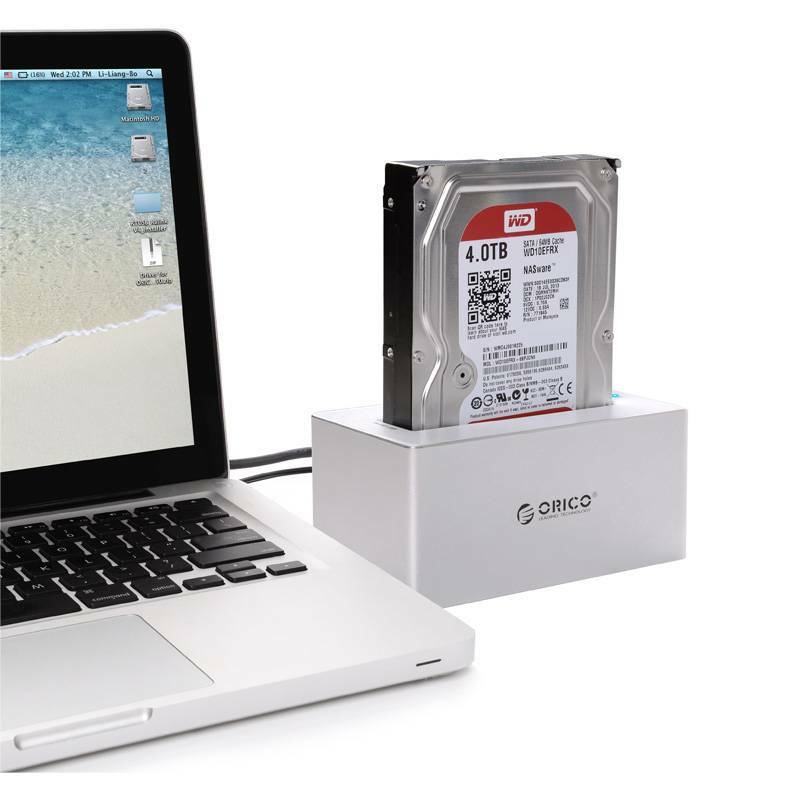 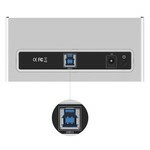 The aluminum docking station supports 2.5 inch and 3.5 inch drives up to 8TB capacity.